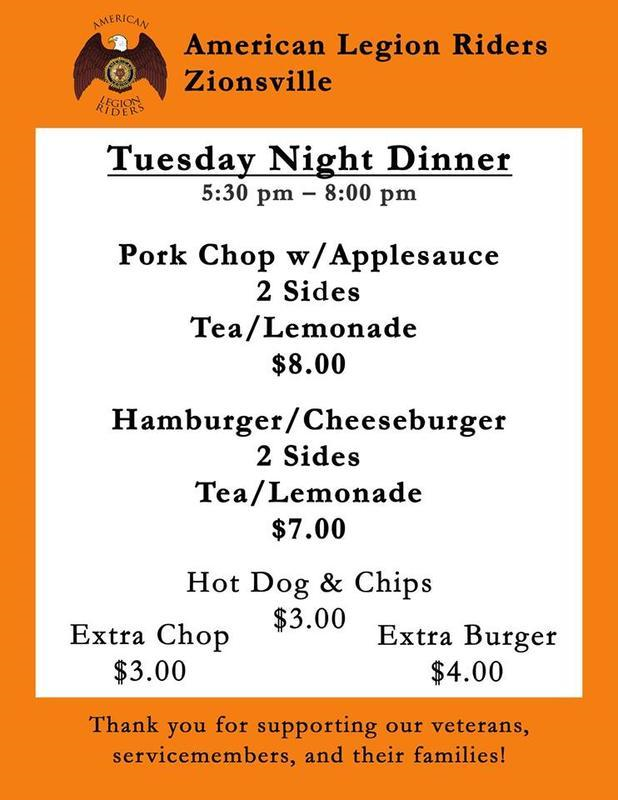 Join us on the Third Tuesday of Every Month for Burgers and Pork Chops. All meals are prepared to order, with sides included. Hot dogs are also available for the kids. ALR Dinner night is always open to the public!